Photo by Linden Hudson (amateur photographer, cheap cameras, just having fun). 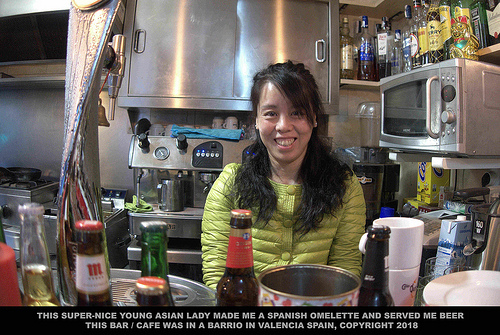 Photo shot at small bar-café in Valencia Spain. 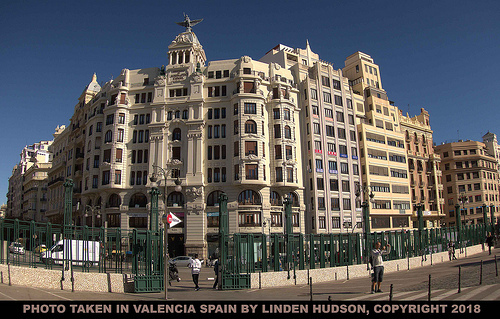 A snapshot of a beautiful building in Valencia Spain taken in November 2018 by Linden Hudson (amateur photographer). 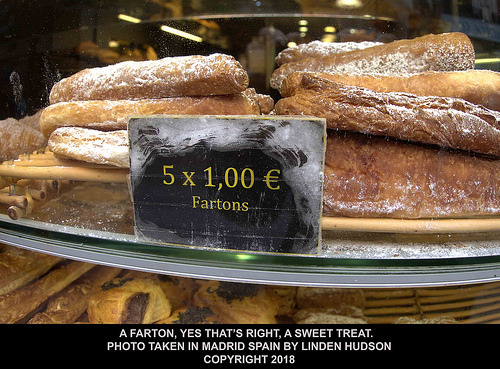 Photo taken by Linden Hudson (amateur photographer) in Valencia Spain (in November 2018). Linden was backpacking in Spain, staying in hostals, shooting photos. 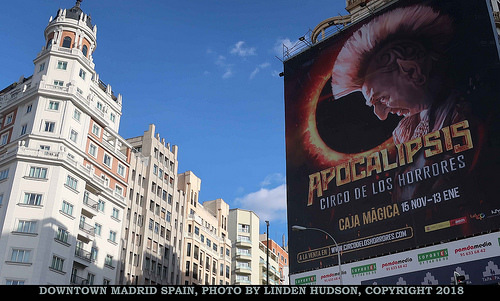 Photo taken by Linden Hudson (amateur photographer) in Madrid Spain (in November 2018). 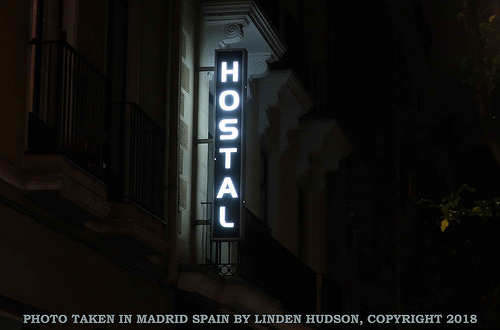 Linden was backpacking in Spain and staying in hostals. 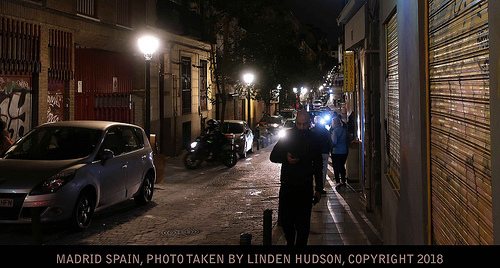 Photo taken by Linden Hudson (amateur photographer) in Madrid Spain (in November 2018). 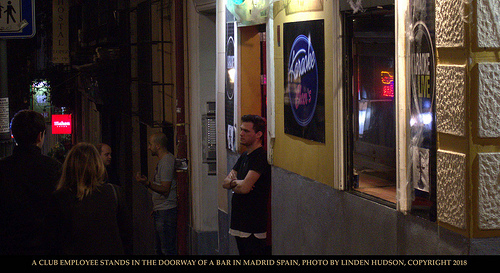 Photo taken by Linden Hudson (amateur photographer) on a side street in Madrid Spain. 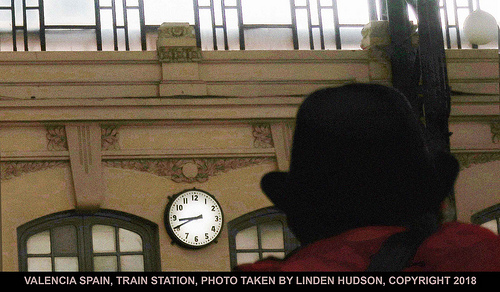 Photo taken by Linden Hudson (amateur photographer). 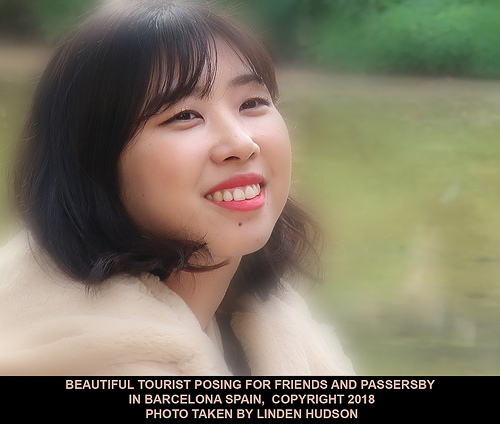 She was posing in front of Sagrada Familia in Barcelona Spain (November 2018).